$895. Vintage mid century modern 8 arm brass chandelier, c. 1970. Art deco revival style. 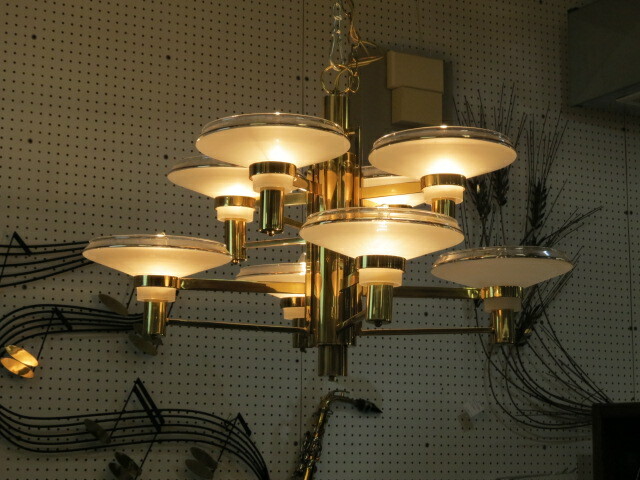 8 straight double brass arms have a disk shaped frosted glass shade on each. Round brass stem. Perfect for your living room. Excellent condition. 32in wide, 21in tall.